CONCORD's analysis of this battleship has been hampered by its advanced hull and shielding. The propulsion system is unfamiliar but tentative theories have suggested that the vessel somehow directly interacts with the fabric of space-time while moving. The standard weapon systems of this ship appear to be semi-autonomous and effective against a range of targets. 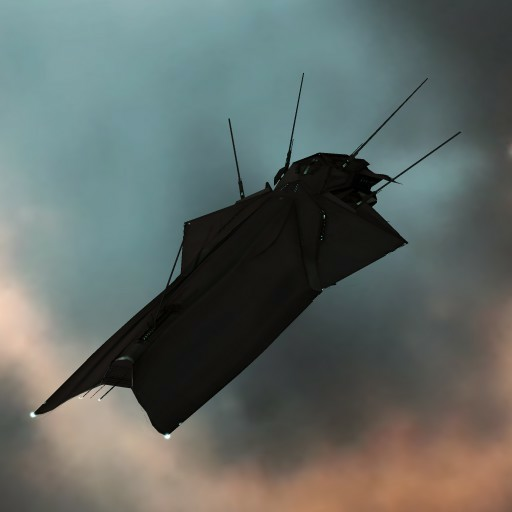 DED contact briefings suggest the free floating turrets are a secondary weapon, with an extremely dangerous primary weapon held in reserve against those this ship's commander considers a significant threat.